The provision of state funded and democratically accountable care services represents one of the most potentially transformative advances in gendered social relations and equality for women by ‘defamilizing’ care and providing paid work. But the cost of providing these services, which women have access to them and how they should be provided are always at the forefront of debate, especially during economic crises. Socially funded and publicly accountable care services are therefore a key site of feminist activity, but also the frontline for spending cuts and 'reform' during times of austerity. 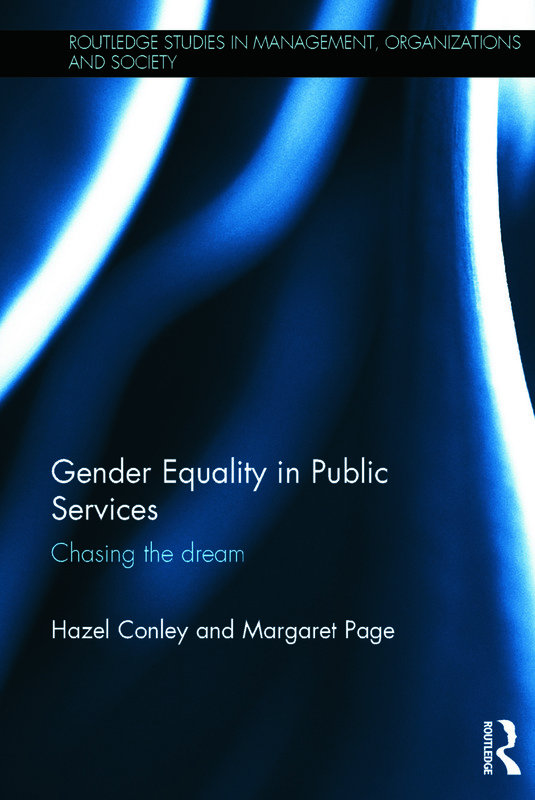 Gender Equality in Public Services analyses how gender equality work in British public services is changing in response to factors including: equality legislation; the erosion of local democracy, privatisation of public services and new forms of feminist activism and leadership. It also assesses the challenges and opportunities for promoting women’s equality in producing and using public services. Impacting upon developed and developing economies, the arguments in this challenging book explore the potential of equality and feminist activism and leadership for radical and transformational change. It will appeal to advanced students, researchers and practitioners interested in social policy, feminist organization theory, equal opportunities and gender mainstreaming practice. Hazel Conley is Reader in Human Resource Management in the Centre for Research in Equality and Diversity at Queen Mary University of London. She is the joint editor of The Gower Handbook of Discrimination at Work. Margaret Page is a senior lecturer in organisation studies in Bristol Business School, University of the West of England, UK. Her research and teaching investigates and supports managers and activists who promote women’s equality and diversity in public services.